The Chimpanzee is a well loved primate and one that is the most vocal. They take part in plenty of socializing and they use their sounds to communicate. They may be from 4 to 5.5 feet tall. They range in weight from 70 to 130 pounds. 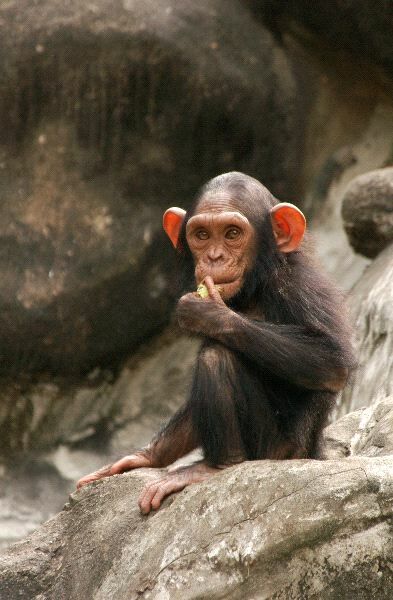 The Chimpanzee is very intelligent and they are able to both problem solve and to use various tools. They spend a great deal of time foraging in their habitat. They have very long limbs and they don’t have a tail. They may walk upright or swing in the trees. They live in troops that may have as several members.